Having first played Stronghold at Rezzed several months ago I was pleased, like most Guild Wars 2 players, to play the game mode again during this weeks 24 hour Public Beta. While Conquest is unquestionably fun and its served players well for several years, I think it’s fair to say that a large portion of Guild Wars 2’s PvP playerbase have been seeking something new for some time. Having now played Stronghold for a second time for a period of several hours (coupled with a developer play session) Stronghold is unquestionably one of the best things ArenaNet have ever made. As a game mode, I love Conquest. It isn’t perfect (which are?) but you only have to look at the incredible World Tournament Series final in Boston to realise that it provides a wealth of tactics and team play, whilst often resulting in nail bitingly close matches. It shows a part of what Guild Wars 2’s Player versus Player matches can offer, but also corners itself into a certain set of builds and playstyles. By making players stay on small capture points in order to secure them, with few side objectives to yield additional points, it was inevitable that builds which have long periods of sustain and survivability would rise to the top of the Meta. This is in no way a bad thing, but for those players who choose to play professions or builds that stray from said Meta, success can be limited. 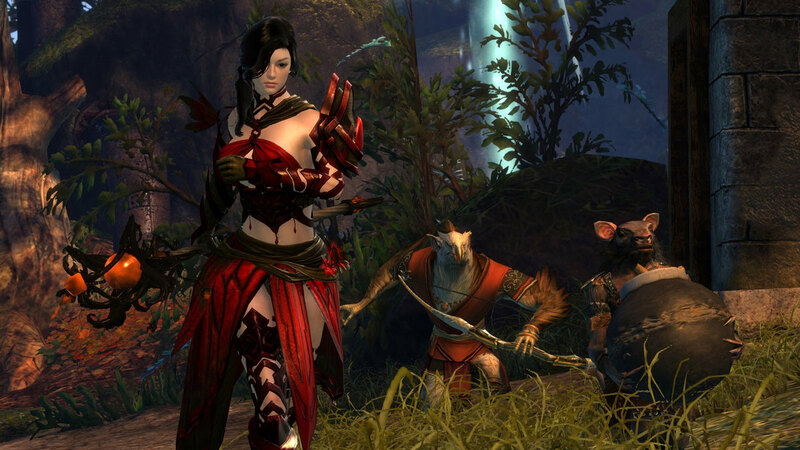 When Stronghold is officially released, it will permanently change the landscape of Guild Wars 2’s PvP. Its design, pace and structure is such a departure from what already exists in Conquest that the rule book might as well be ripped up. It’s a game mode that feels incredibly familiar if you’ve ever played a MOBA, but it also deviates enough to the point where it feels totally unique. Both Stronghold and MOBA’s share the use of lanes, a Guardian or Lord and some form of obstacle that the opposing team has to battle through in order to reach a final chamber. 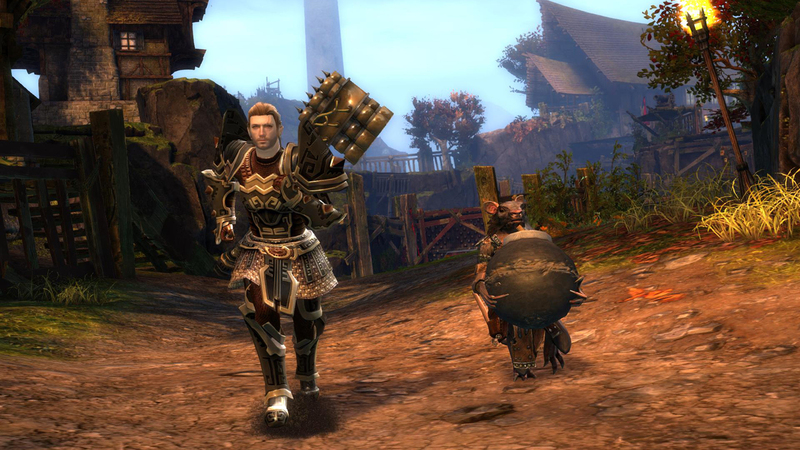 In Guild Wars 2’s case, that’s gates, whereas SMITE or DOTA 2 have towers. It’s at this point however that similarities between the games end and ArenaNet’s approach to the genre-hybrid takes on a life of its own. By increasing the map size and implementing a variety of objectives that are critical to success, ArenaNet have been clever in ensuring that any team is (rightly) stretched thinly across the map. Unlike in Conquest where a team could comfortably ping-pong between control points due to the map size, it’s simply not possible to traverse Stronghold’s quickly. You cannot be everywhere at once and as a result, every team has to know their role and they have to be good at it. There’s no use attempting to be in all places at once because your team will leave themselves exposed in one or more areas. From the many hours I’ve now played of Stronghold and having had some disastrous matches, it’s relatively apparent that Supply and running Supply is the key to success. If your team chooses to ignore it or makes little use of it, not only are you going to lack the offensive push you need from the Door Breakers and Archers, but you’re going to provide free reign to the opposing team who’ll quickly overwhelm you with Skritt and Tengu. Even if you only have one person running Supply, it makes an immeasurable difference to your teams likely success. For the first match I played with ArenaNet, I was paired with John Corpening and Colin Johanson. Colin was using a turret based build and for the most part, was continually running Supply. He’d drop his Supply Crate and turrets right in the center of the map and run back and forth as much as he possibly could. Although he came under fire several times, uprooting him proved difficult for the opposition and it allowed our team to spawn wave after wave of NPC’s. This not only pressured the Red team early but it allowed us to have a minimum of two people on offence and defence. If needed and because I was using a Meditation Guardian, I could hold out long enough on defence to allow John to roam and support the front line. Because the Red team were under so much pressure, it quickly forced them to retreat back to their final gate and in some respects, allowed us to snowball them. Matters only got worse for the Red team when we summoned Heroes by capturing both Mist Essences. On the subject of Heroes and Mist Essence, I absolutely adore this mechanic and for a variety of reasons. Unlike in Conquest where side objectives, such as the Beasts in Forest of Niflhel, are largely negligible, there’s nothing in Stronghold that should be ignored. Mist Essence appears on both lanes and takes around 30 seconds to become active. Ignoring it will inevitably result in the opposing team capturing one or both, while fighting for it could result in your team being flipped over and in the process, you’ll lose the buff’s and give the opposition a healthy dose of points. It’s yet another component to juggle as you and your team attempt to manage NPC spawns and the protection of them, defence of your gate and the running of supply. On top of all that you’ve still got to be competent at fighting real players, not just AI. The Hero who spawns once you gather Mist Essence is unquestionably worth fighting for even if you are losing, as he provides a huge buff to your team and your NPC’s. Heroic Presence reduces incoming damage by 50% and condition duration by 50% for nearby allies: it’s a buff that can easily turn the tide in your favour. You might at this point be thinking that Stronghold sounds overwhelming and in some respects it is. As mentioned earlier, if you’ve never played a MOBA before this is going to be a strange and exciting game mode to play. There’s lots of plates that you and your team need to keep spinning which requires a great deal of skill, communication and coordination from all. You cannot zerg your way to victory in Stronghold and unlike in Conquest, you cannot rely on one mechanic to drag your team kicking and screaming to victory (here’s looking at the Trebuchet in Khylo or the Hammer in Skyhammer). Is this going to potentially put new PvP players off? Possibly. Although there’s a tutorial window that pops up, a pop up video-tutorial would certainly go a long way in aiding Stronghold virgins. Part of what makes me so excited to see Stronghold arrive is the fact that it’s relatively clear existing Meta builds will need to change. Although I’ll talk about Terminator Tirzah shortly, it’s immediately evident that builds such as Meditation Guardian and Shoutbow Warrior are much less effective in this environment. They’re still incredibly strong, but their limitations in an AI lead game mode become quickly apparent. I’m not suggesting that everyone should immediately switch to profession or build, but it’s clear that there’s a need to deal damage incredibly quickly against the oncoming tide of Heroes, Archers and Door Breakers: lacking burst simply won’t do. Where builds such as Meditation Guardian and Shoutbow once prospered in close quarter, heavy group encounters, these professions don’t have the luxury of this happening regularly in Stronghold due to the map size. Of all the Stronghold fights I’ve seen and taken part in, it’s only in the final Lord room where there’s any real value in such builds. Outside of that, they fall short for a variety of reasons but predominantly on the basis that their damage is too low to quickly dispose of NPC’s and their crowd control such as “Fear Me!” or Ring Of Warding fails to eat through the Hero Defiance bar. Constantly having to have your teammates come back to help you kill enemies, as I found out with ArenaNet, stretches your team to breaking point. In contrast, builds such as Condition Necromancer with Spectral Wall or Longbow Ranger using Muddy Terrain and Entangle absolutely excel. Placing a Spectral Wall down and watching a train of NPC’s repeatedly turn away in Fear slows the enemy progress enormously. Combine that with Chill, Cripple, Reaper’s Mark and Tainted Shackles and you’ve an amazing defensive profession. Where the Ranger is concerned, it acts similarly to the Necromancer in the sense that it can stall NPC’s incredibly well with it’s use of Entangle, Muddy Terrain and Terrifying Howl but it’s also able to burn down Archers and Door Breakers in seconds. 1. 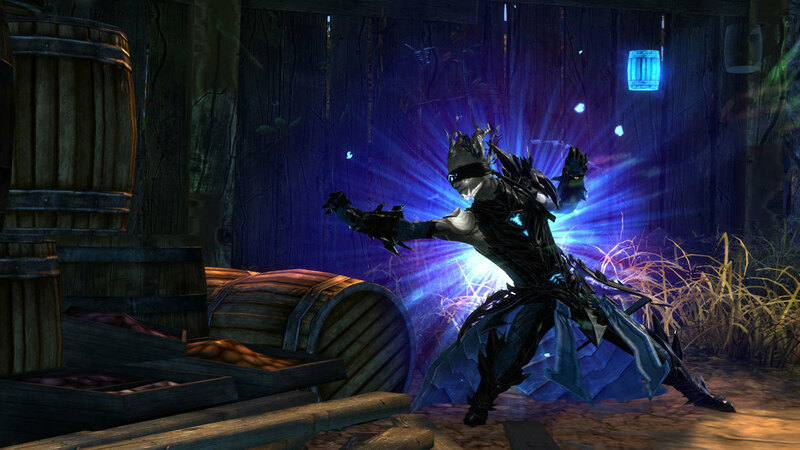 Shatter Mesmer due in part to its spike damage against Heroes and gate guards. Coupled with the fact the map is large enough to grant much needed breathing space away from prowling Thieves, the profession can now spend time actively roaming without fear. 2. Celestial or Berzerker Staff Elementalist due to their incredible support and AOE damage. 3. Altruistic Healing Guardian due to its sheer healing potential for NPC support. 4. Power Necromancer due to its eye watering damage against the enemy NPC’s, both direct and AOE. All of these builds rarely have any part in the current Meta and yet I can already see their particular strengths in this game mode. Will people take time to acknowledge they have a place? I suspect so, but it won’t take long. On the back of discussing builds in Stronghold, I have to praise Tirzah Bauer for not only showcasing what’s possible in Stronghold by a single individual (her lane carries are amazing with her Guardian) but for also demonstrating how the Meta has to shift in Stronghold. Her Consecration build, though not perfect (I think she’d be better using Mace and Shield for further healing and shielding) demonstrates perfectly how a shift in approach is needed. Her build ensures that she cannot be left unattended because if she is, your gate is going down. Worse still, because she has so much stability and healing from a variety of skills and traits, she can comfortably capture Mist Essence and protect Door Breakers with Sanctuary. Who would have ever thought a Guardian using Tome Of Courage would ever see the light of day in PvP? Even though I spent most of my time trying to kill her, she effectively removed me from the game because it was inevitably going to be me or one of my other team who would have to deal with her. Her tactic and play was relentless, frustrating, incredibly annoying and brilliant. I cannot wait to see what other builds players dream up, because hers is frighteningly effective in this environment. Below is a video of the developer play test I took part in. It includes the following Guild Wars 2 developers, as well as a handful of other European press. As you can probably tell from this article, I like Stronghold. Other PvP games have been occupying some of my time in recent weeks (SMITE and Gigantic) and I’m pleased to say that Stronghold would unquestionably bring me back to Guild Wars 2’s PvP long term. The only obstacle I’d need to overcome is actually finding a fixed team (anyone out there on EU looking?). At the moment it isn’t a particularly pug friendly game mode, but I think with time it’ll become like SMITE where players state their role at the start of a match. Other than that and if you’re reading, ArenaNet, build templates and the ability to only play Stronghold would be a dream. Here’s hoping the next Public Beta isn’t far away. To read more about Guild Wars 2: Heart Of Thorns and its Stronghold PvP game mode, head on over to the official website. You can also pick up a copy of Guild Wars 2 here.